This afternoon's red post collection includes Riot Mirross announcing Champion Mastery will be coming to live soon, as well as another look at the system and the new features since the original announcement! Champion Mastery Coming to live soon! Riot Mirross has posted an update regarding the upcoming Champion Mastery system and their plans to roll it out to Summoner's Rift normal, TB, and ranked queues on live very soon! Role ranks - Champions now gain new titles based on their primary roles as you gain mastery levels (Once he hits Champion Mastery level 3, Ziggs gains the title of "Invoker" based on his primary role as Mage, for example). 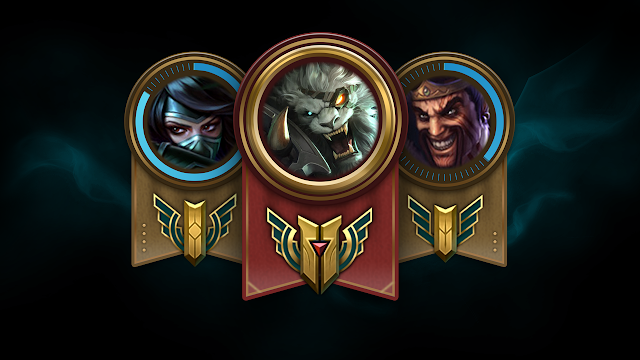 These titles are displayed on-hover in your Profile and Champions tabs, as well as the end-of-game Champion Mastery results display. Check out the Champion Mastery microsite for the full story or head over to the Champion Mastery FAQ for more information! We’ll see you in a few days!" Along with the announcement that Champion Mastery will be headed out to live soon, the minisite has been updated! Take another look for more on Champion Mastery being enabled in ranked, a look at the various role ranks, and more! "We want to recognize you for playing the champs you love and give you feedback on how well you play them. With Champion Mastery, you now get points, ranks, and rewards for the champs you play. Now, if you want to show other players that you’re a dedicated Swain main, or a big cheese with Twitch, you can! 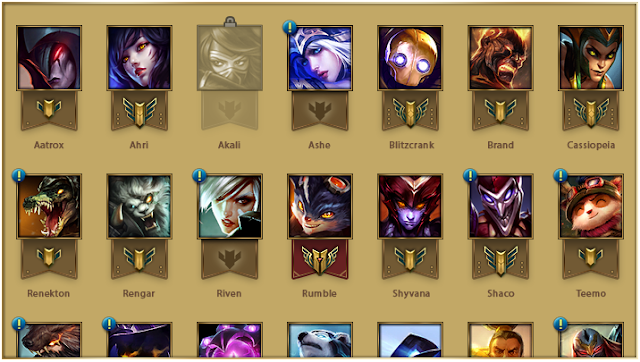 At each rank there is also a role-specific title which you’ll be able to see on your profile. Below are the titles you get at each rank for a given role. We’re kicking off the rollout of Champion Mastery across all servers in a few days, on Summoner’s Rift normal, teambuilder, and ranked queues. We’ll continue to read through your feedback and keep you updated with our progress, so keep an eye out for future posts after the service goes live! All summoners who’ve hit level five or higher will be eligible for Mastery points on SR normal, teambulilder, and ranked queues. 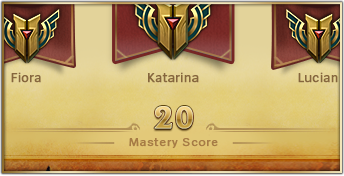 This is just the beginning for Champion Mastery. As the system matures, we’ll unlock extra tiers and rewards as we build on the program!" "Will I get xp credit for how much I've already played a champion? We’re not currently planning to do this. Because this is a new system, we want players to feel progress (and earn rewards!) based on how well they do and the champions they choose to play. What goes into the grading system? How do you calculate it? It’s based on the champion and role that you just played in a game. 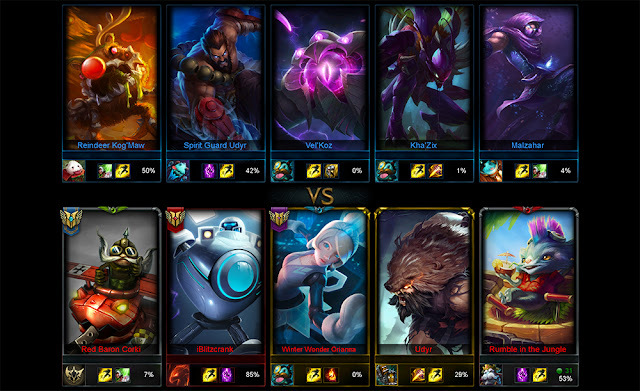 So, for example, we look at Annie mid differently to Annie support. We take a series of performance metrics and compare how you do to all other players in your region in your champion / position combination. It is percentile driven - so earning a high score means you performed in the top x% of players on that champ in that position. The grade itself governs the point gains. How many games will it take to level up? We expect players to take 15-30 games to level through the first set of levels (1 through 5). We’ll be unlocking additional levels later. Is this going to feel grind-y? This system is performance based - the quicker you master a new champion, the quicker you’ll make progress. At the same time, we want it to be accessible enough that all players can feel good about improving. We’re tuning this system so that you will be leveling up the set of champions that you really enjoy playing and getting meaningful feedback on your performance each game. The ceilings are intentionally set low for each individual champion to avoid making it feel like a grind. No demotions or decay is currently planned. What other kinds of rewards are planned for the future? We are going to see how people enjoy using the system and what they like about it before we finalize our future plans. We’d love feedback on this. Will skins ever be a reward? It’s not something we’re considering right now, but we are exploring other ideas for unique rewards we think you guys might like. Will this work on Dominion and ARAM? Will it ever in the future? We’re currently limiting this to SR.
Can the enemy team see the crests in-game or in the loading screen? Not initially, but we may revisit this in the future. 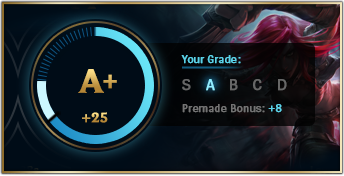 Can other players see my grade at the end of the game? No. These grades are for you and not something for others to be able to see. They will not available to 3rd party sites either. Will the score account for AFKers? Can confirm, AFKing will result in a bad score." More information available on Riot Support's Guide to Champion Mastery!